I added a bit of gloss to the birds with a perle pen by Viva Decor, it's got a slightly pink shimmer to it. there's something so sunny & happy about orange! Pretty tags! Love the bright fun happy colors!! Very pretty, and lovely fresh bright colours too! 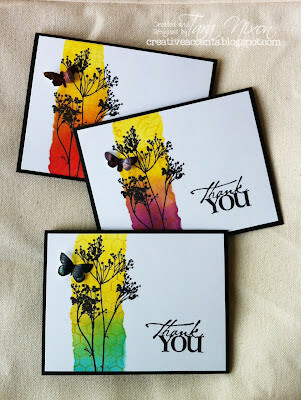 Thanks for sharing at Penny's Paper-Crafty Challenge.